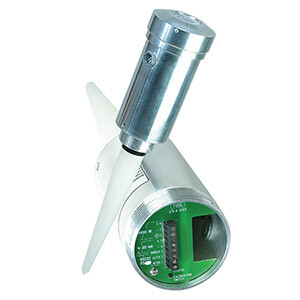 Radar level sensors are ideal for when vapour, dust or a foaming surface prevent ultrasonic measurement. The optional 2" tri-clamp fitting makes these suitable for hygienic applications. Find how a Level sensor.works on this link. The LVRD500 Series comprises low-cost radar sensors for continuous level measurement. This series, a logical extension to the ultrasonic sensor series, is designed for applications requiring non-contact liquid level measurement, in which ultrasonic level measurement is not acceptable. Windows software included with RS232 and RS485 units. Add “-PTFE” to model number for PTFE antenna. For a High Temperature, PTFE antenna add -HT to the model number. High Temperature Antenna is only available with PTFE. Add “-316SS” to model number for 316SS housing.